it’s ideally suited to tackle tough, hard-surface applications. CAMSO SKS 774 (Formally SOLIDEAL HAULER XD44-L5) refers to XD: Xtra Duty, 44mm L5 tread depth. 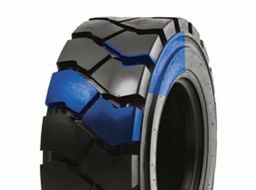 It is considered at the toughest “all-round” tyre for skidsteer use high durability casing and tread compound. The favorite option for road construction and asphalt companies across Australia. Do you wish to enquire about a price on this product?